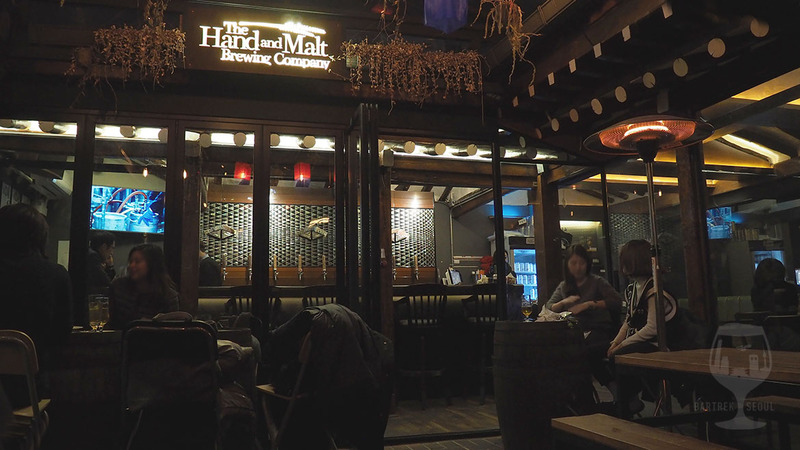 Another classic when it comes to Korean craft beer is The Hand and Malt Brewing Company. 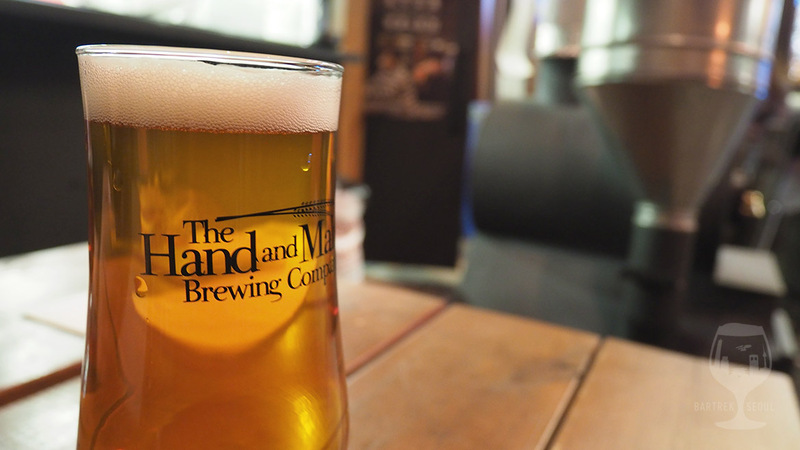 Their signature Slow IPA is a common find on menus around Seoul, but there are more brews to be had at their own venue in Jongno. 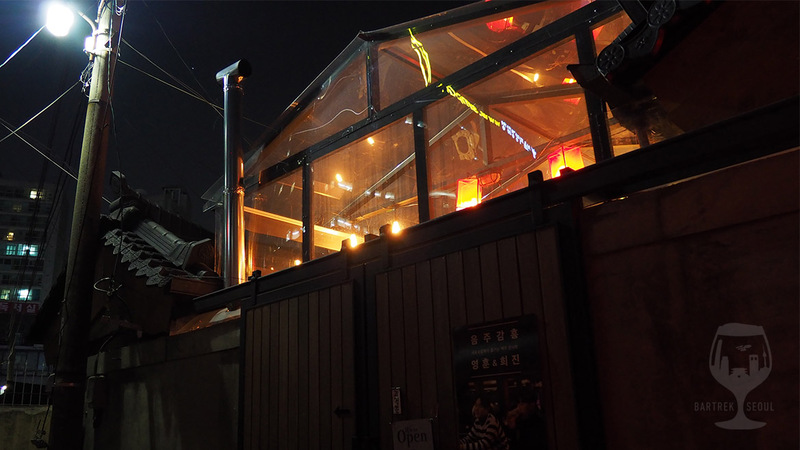 Located close to Gyeongbokgung palace and other tourist attractions in the area, but hidden within small side streets, this bar is a great find both for locals and visitors. There are tables both at the “yard” and under the roof. 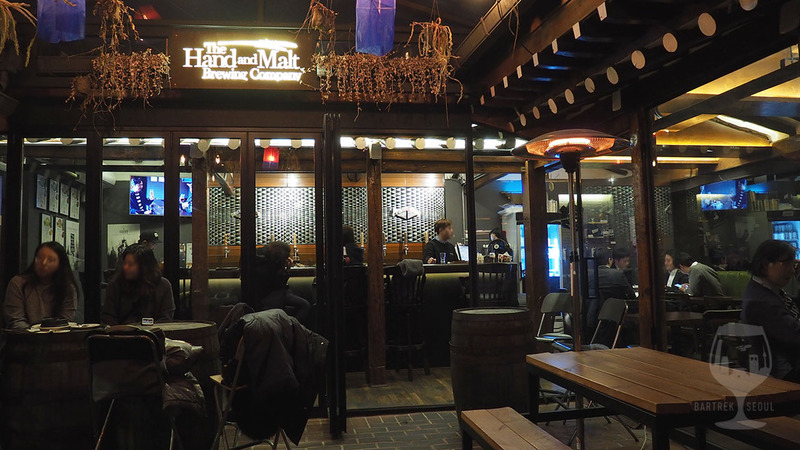 Another remodeled hanok, Hand and Malt has a few different options for seating, including several courtyard tables under a new roof and indoor tables under the original hank roof. 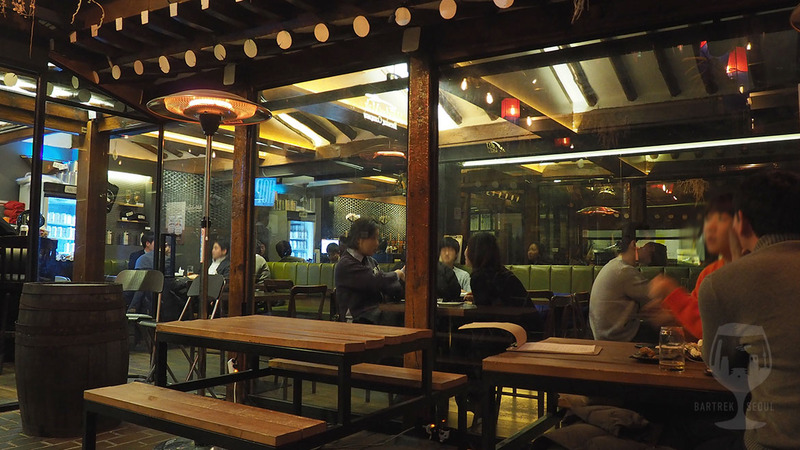 These kind of remodeled, traditional houses are a common sight in the Jongno area, repurposed to bars, studios, shops and cafes, and help add to Seoul’s signature blend of new and old architecture. 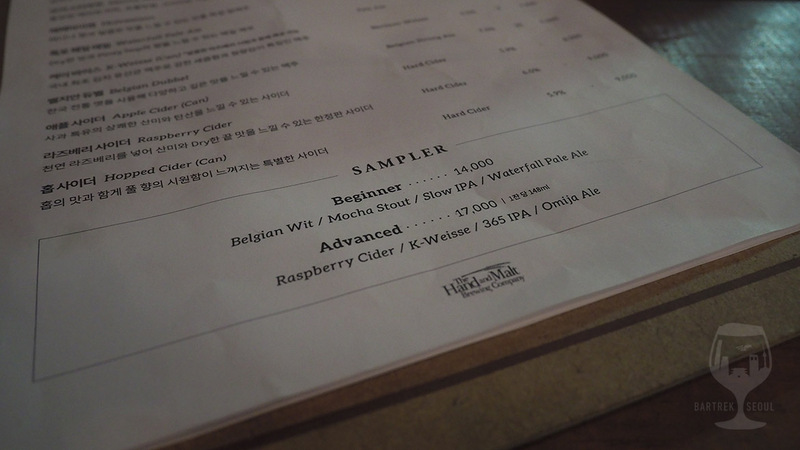 The beer menu ranges from the classic Slow IPA to wits, stouts and experimental collaborations, with two sampler sets of varying “difficulty”. 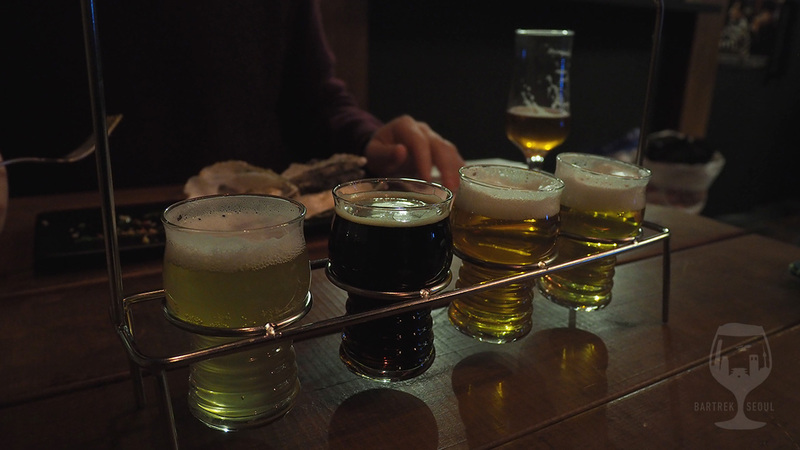 We shamelessly started off with the beginner set that included the Belgian wit, Mocha stout, Slow IPA and Waterfall pale ale. An easy and enjoyable taster set, topped by their Slow IPA which, to no surprise, tasted even better here than in other bars. Their other IPA, the 365, is good and dark, a nice, bitter contrast to the Slow, and while the Imperial stout is not as barrel-y as I hoped, it still packed a strong and rich flavor. 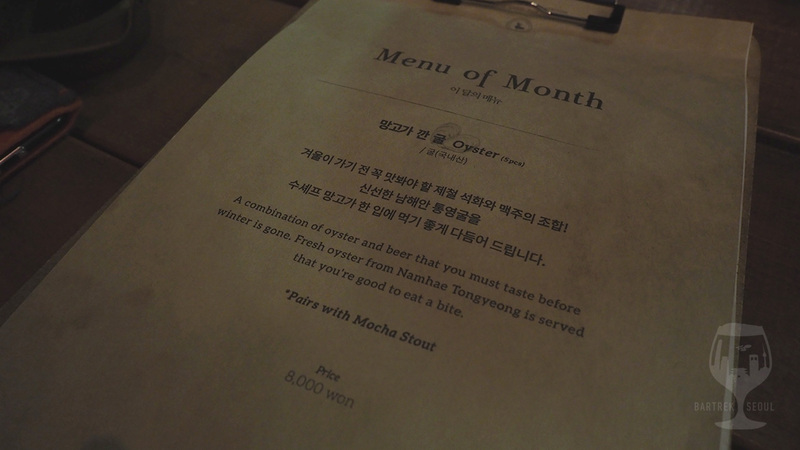 By far the most interesting choice on the menu, we got a glass of the Omija wheat ale. 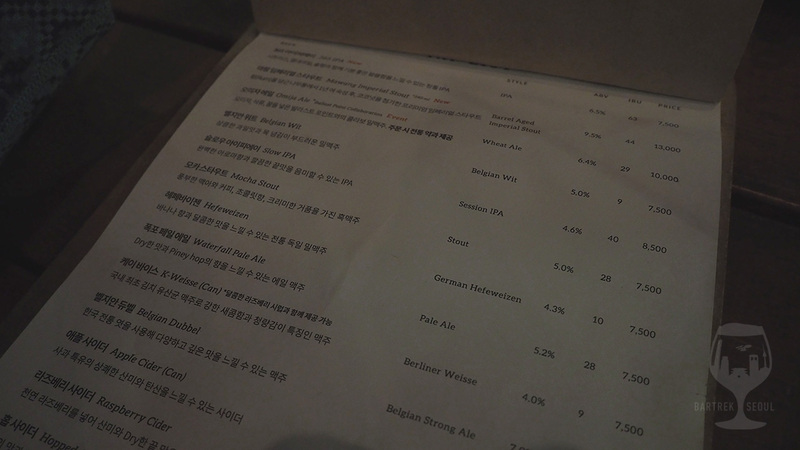 Omija is the Korean word for dried magnolia berries, said to contain five flavors, and while it is a common flavor for tea and a few traditional liquors, it stands out on the beer menu. 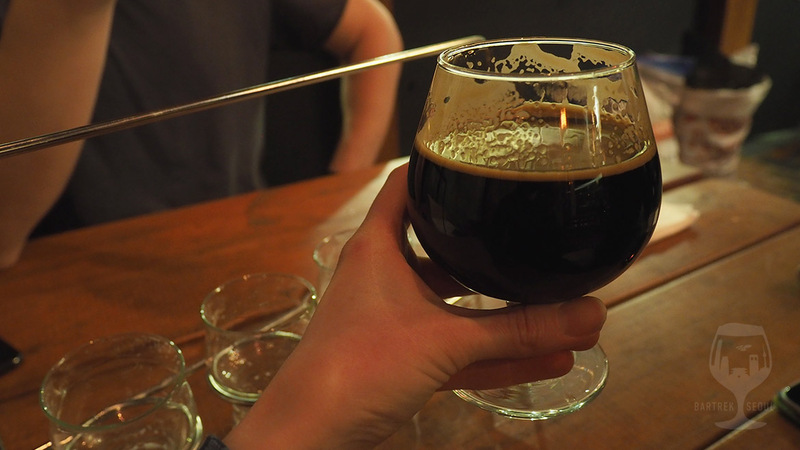 A collaboration between Hand and Malt and Ballast Point, known for experimenting with spices and fruits in their beer, this limited edition specialty beer was surprisingly good. Refreshing, not too wheaty, not too bitter, it even comes with a small, traditional rice/honey cookie. Needless to say, M was very happy with the order. 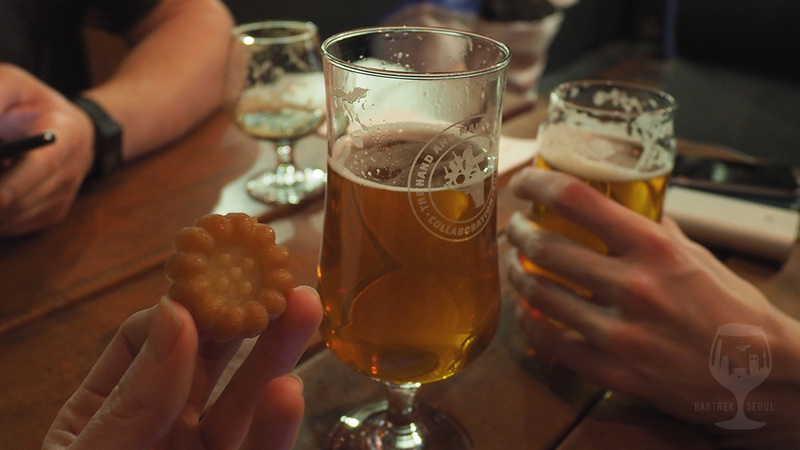 Fantastic and special Omija-ale came with a small traditional rice/honey cookie. The Omija-ale was a special Hand and Malt X Ballast Point special brew. 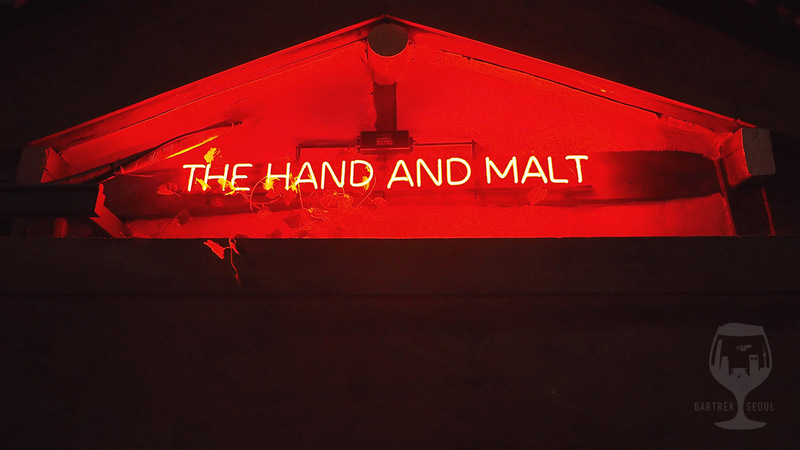 Hand and Malt beginner taster set. 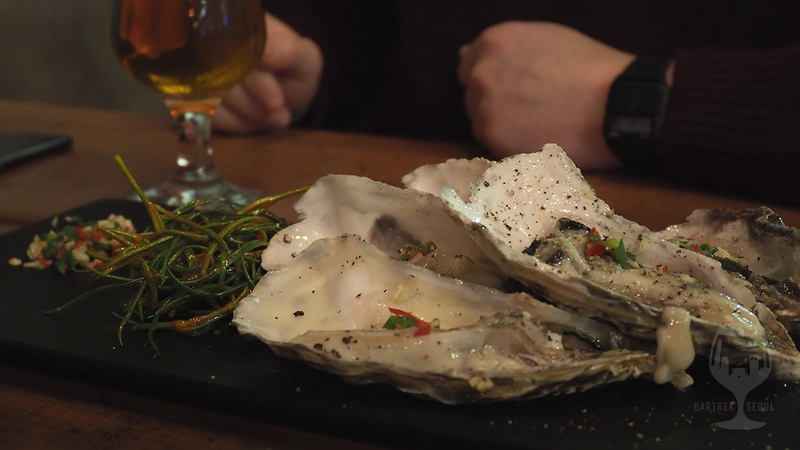 Menu of the Month – Oyster dish. Pairs well with H&M Mocha Stout. The counter is in the back wall. You can order both at the table and at the counter. Pay afterwards at the counter. 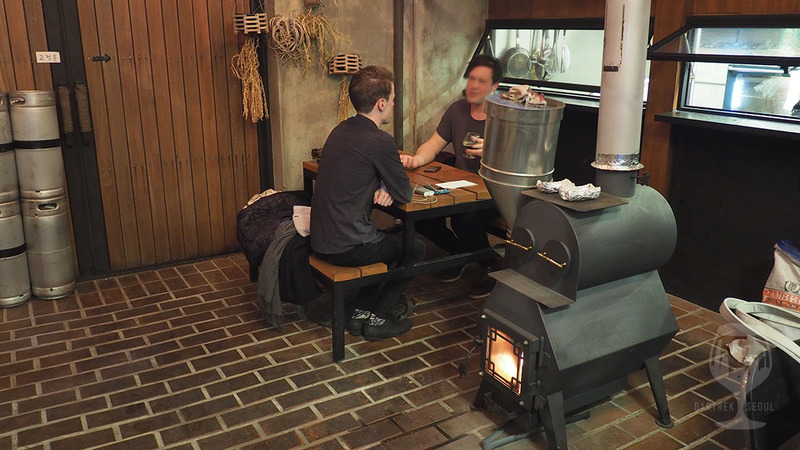 At the “yard” we got some extra heat from a fire place. 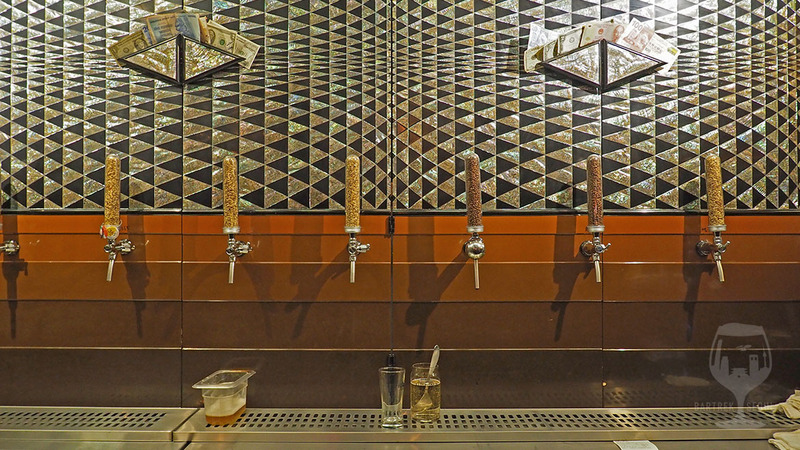 Their tap handles are filled with different types and colors of malts. 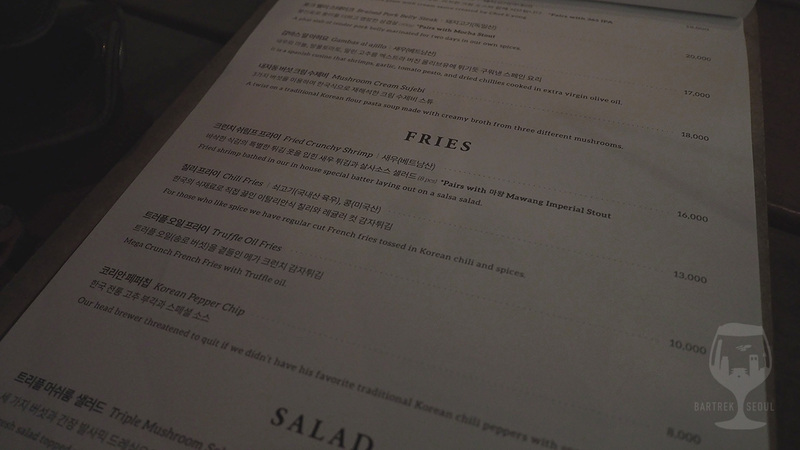 Quick peek to the food menu. Cold outside, warm and cozy inside. 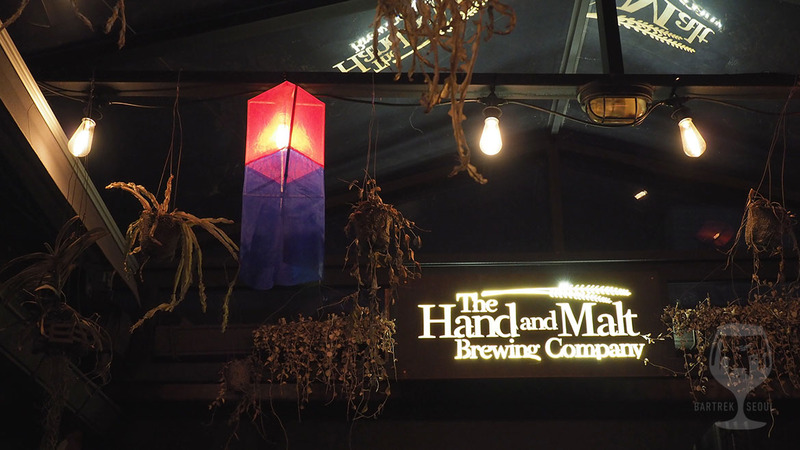 You will recognize the place from Hand and Malt neon sign. A small alley. You won’t find your way here by accident. 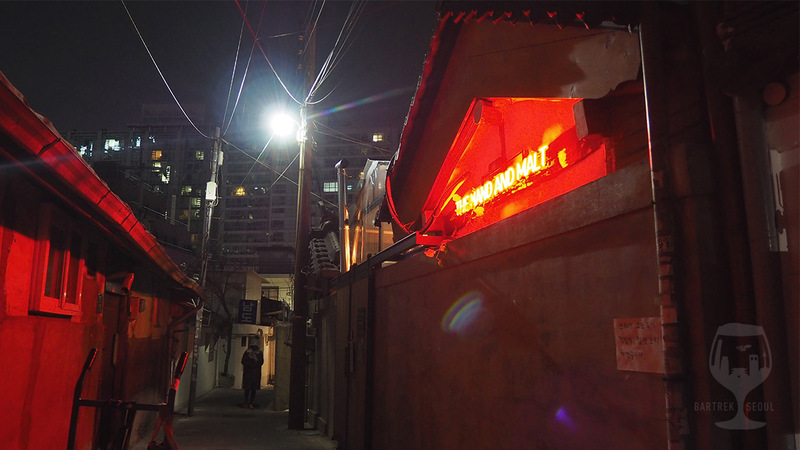 The bar is in a narrow back alley, but very close to the Gyeongbokgung palace.